Feng Shui literally means Wind and Water. The wind will carry the energies or Qi from different directions and the water is the medium to slow down the wind and hold the energies or Qi. Click here to read more. What is Ba Zi (八字) and Destiny Analysis? The Ba Zi is analysed by studying the interaction of the cosmic energies of the Five Elements. From Ba Zi, one's destiny and luck cycle become evident. Click here to read more. 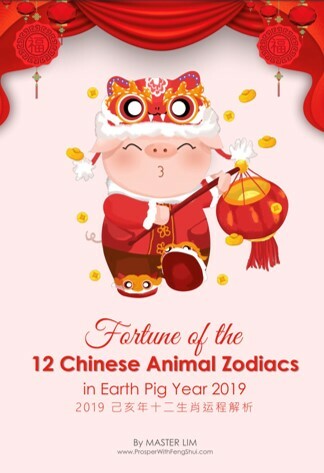 2019 - Fortune of the 12 Chinese Animal Zodiacs - NEW! 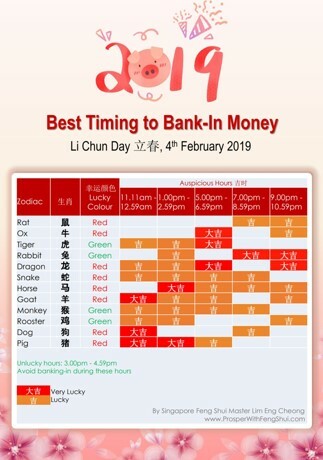 How does your Chinese Zodiac fare in 2019? Read on to find out your Zodiac's overall luck, wealth luck, career, health & relationship luck in Year 2019. 2019 - BEST Timing to Bank in Money - Must Read! 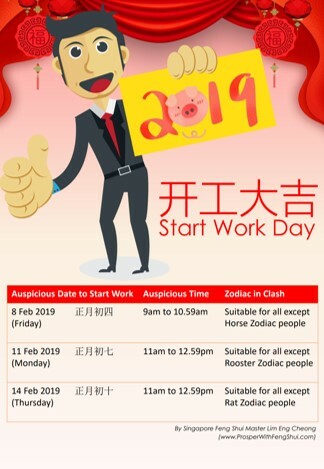 BEST DAY to start work in Pig Year 2019 - Hot! 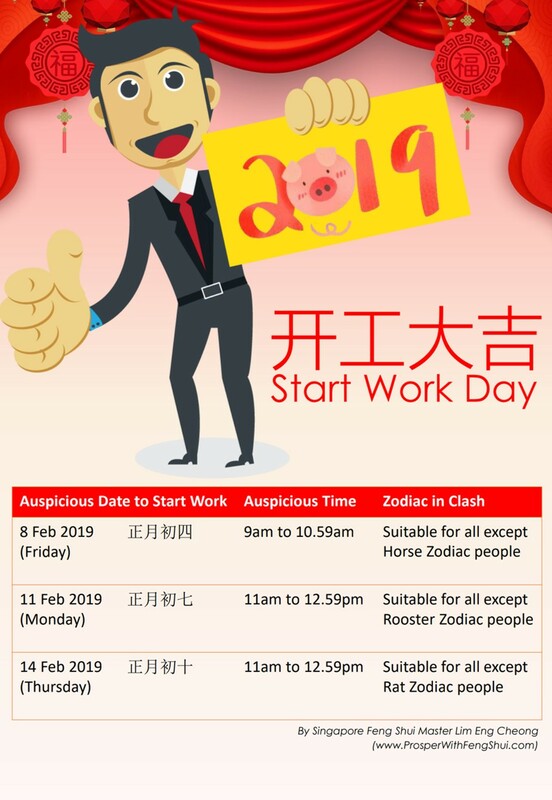 Which is the best day and time to start work in Pig Year 2019? Find out here. Huat Ah! 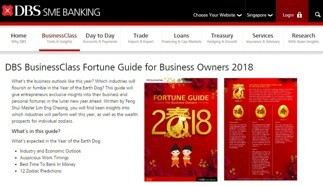 In collaboration with DBS Bank in Singapore, Master Lim shares his 2018 business insights for entrepreneurs and business owners. 2019 - Pig Year Predictions - Coming Soon! 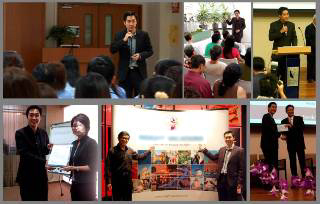 Master Lim presented in Singapore Polytechnic on "Qi Men Dun Jia for Divination" and shared various case studies on how Qi Men Dun Jia can be applied to complement Feng Shui analysis. Read on some of the Office Feng Shui Tips and a quick & easy guide on how to identify your Career Line on your palm and how to interpret your Career Line. Fretting over selection of good Feng Shui homes? This issue provides easy steps and useful tips in helping home buyers to choose a good Feng Shui home. A downloadable checklist is also included so that you will not forget what to look out for when you go house hunting next time. Learn the Feng Shui Tips, Do's & Don'ts in selecting your home. 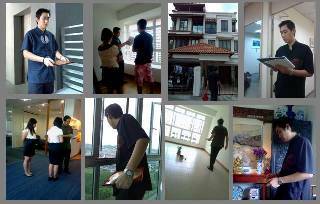 Great home site selection Feng Shui tips for home buyers. What is the composition of an Auspicious Chinese Name? Find out some of the Do's and Don'ts when selecting a Chinese name for your child. In addition, our ProsperTimes Chinese column shares with you how to locate your WEALTH sector in your house. To unveil good energies in auspicious sectors. For residential or commercial premises. BaZi reading to find out your personal luck cycle, career prospects, wealth, health, romance, lucky directions/colours etc. Select auspicious date for wedding, opening ceremony etc. For residential or commerical premises. BTO Site Selection, DBSS Site Selection etc.